EAGLE COUNTY — Vail Resorts continues upgrading its 11 resorts in the U.S., including improvements to Beaver Creek and Vail mountains. Skiers and snowboarders exploring Vail’s Back Bowls will be riding the new Sun Down Express, a high-speed, four-passenger chair replacing Sun Up Lift. At Beaver Creek, The Pines Lodge is undergoing a significant renovation. “Vail and Beaver Creek are excited to start the ski season with two fantastic updates for guests, as well as to see EpicMix Time (which as launched last season in Colorado) expand to our sister resorts in Utah and Lake Tahoe regions,” said a news release from Vail Resorts. 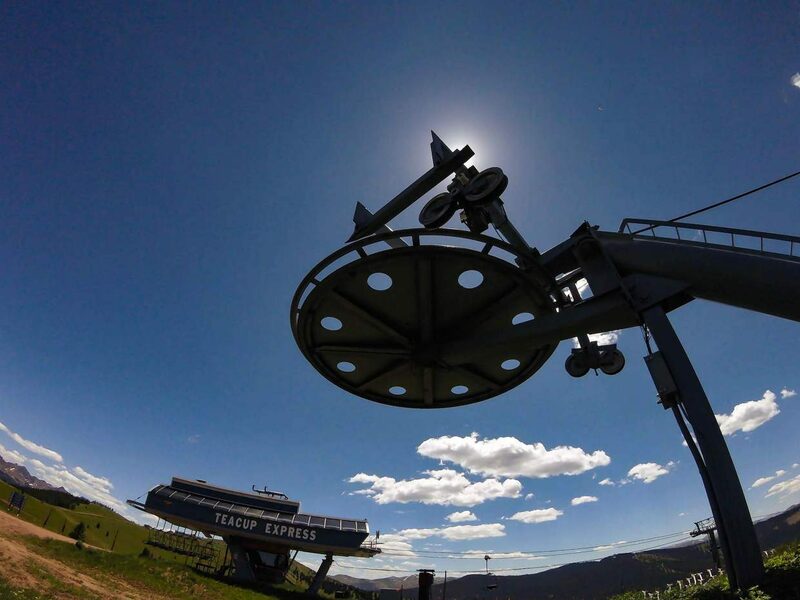 Sun Up Express is Vail Mountain’s ninth new chairlift in 10 years. It is expected to increase capacity by 65 percent and reduce the average ride time from eight minutes to four. The new lift, formerly Chair 17 and now Chair 9, will serve as a primary lift on the Back Bowls, dispersing skiers and snowboarders into the backside of Vail Mountain. With Sun Up Express, 19 of Vail’s 22 chairlifts, and all of its core lifts, are high speed. “The new Sun Up Express will dramatically improve how our guests are able to move across Vail’s legendary Back Bowls, especially on powder mornings as they head toward the terrain of the China Bowl complex and Blue Sky Basin,” said Chris Jarnot, Vail’s chief operating officer and executive vice president. The renovation at The Pines Lodge, a RockResort property at Beaver Creek, will enhance the guest experience. The 60-room, ski-in and ski-out hotel is keeping with the European charm while introducing a modern mountain luxury theme. The new design will include the upgrade of soft goods, the lobby area, meeting space and Grouse Mountain Grill. This year, Vail Resorts invested $100 million in improvements across its 11 U.S. resorts. Since the 2011-12 season, Vail Resorts has invested $500 million to enhance the guest experience at those resorts. Other upgrades include Pioneer Crossing at Breckenridge, a 490-seat restaurant located at the base of the Independence SuperChair; $13 million worth of improvements at Wilmot Mountain near Chicago; and the expansion of EpicMix Time to other Vail Resorts mountains.